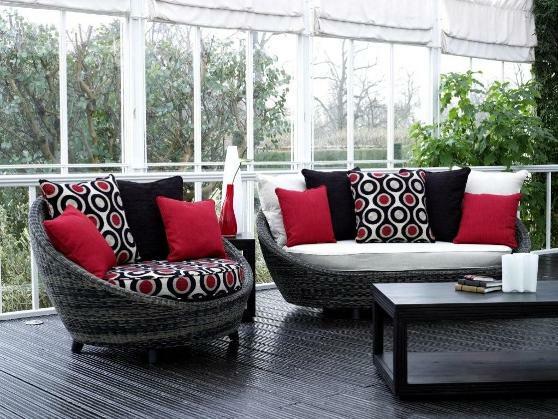 The Drift range is a modern and contemporary design woven in a multi tonal slate coloured rattan. This sumptuous collections is available as a luxurious corner group with modular pieces providing flexibility to suit your space together with a large sofa option and a tempting love seat. Shown with Oracle Natural, Bali Red and Chelsea Anthracite fabrics.